We believe that to be a true family of God we must worship, fellowship, learn and grow together. This is only possible when we participate with the events and life of the church we call home. We invite you to try out one of our events or groups and become part of our family. Periodically throughout the year, we gather together for fun events and an opportunity to know each other better. Growing as a family means spending time together and strengthening relationships. 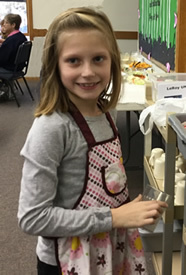 Part way through our worship service, is a special Children’s Sermon and then children are invited to participate in our Sunday School program. Lessons and activities are tailored to their specific needs and energy levels. For families with small children, a nursery room is available. The room allows parents and children to both hear and view the worship service. The room allows little ones an opportunity for play and movement and parents an opportunity to still engage in the worship service. Our Chime Choir invites you to participate in their ministry of music. Musical ability is not a requirement, just a love of making music with others. 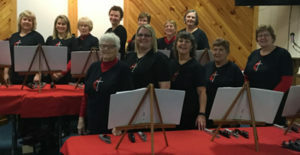 The Chime Choir does a variety of performances both in church and in the community throughout the year. “For I was hungry and you gave me something to eat, I was thirsty and you gave me something to drink, I was a stranger and you invited me in.” – Matthew 25:35. 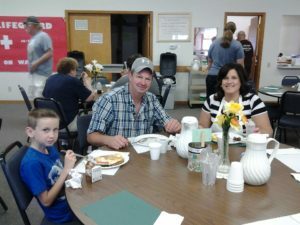 On the 1st Saturday in November each year, we host a Harvest Dinner. It is an opportunity for friends, families and the greater community to enjoy a night of good food and even better fellowship. It is a free-will offering event and is open to everyone. Each Easter Sunday at 7:00 a.m., we celebrate the resurrection of Jesus Christ with breakfast and a Sunrise Worship Service, in addition to, the regular worship service. 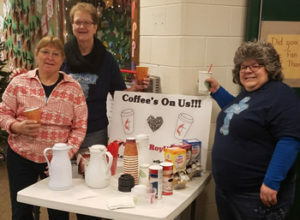 On the 1st and 3rd Wednesday mornings of the month, we offer coffee to the busy parents and families coming into Pine River Elementary School to start their day. We are blessed to be a mere block from the school and want our community to know that we love them and are available to help minister to their needs. We invite everyone to stop by for a hot cup and a smile to start your day! Every Thursday at 4 p.m. is our mid-week Bible Study. All are invited to join us in studying God’s Word and it’s application to our lives. Whether you are a new believer or have walked with Christ a long time, join us for this laid-back and informal time of study and growth. Bible Study does not meet during the summer months of June, July and August. Our Youth Group meets to play games, fellowship, laugh and learn about Jesus. 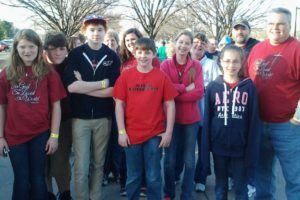 Throughout the year, the group goes on a variety of special events, such as concerts, outdoor activities and more. Many years our youth attend a UM Summer Camp as well. Children grades 6 – 12 are invited to attend. The Youth Group is currently on hiatus.